Admitting and Registration is your first stop when you visit the Sabetha Community Hospital and we are proud to offer friendly service to incoming patients and families. 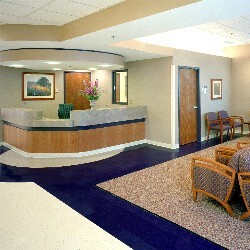 For your convenience, we are located in the main lobby on the west side of the hospital. If office is closed, please go to the Nurse's Station on the south end of hospital. Patients visiting the Sabetha Community Hospital Outpatient Clinic should come to the east entrance, first floor on your left. A handicap entrance is available on the south side of the hospital. When you arrive at the Sabetha Community Hospital our friendly staff will register you or your family member in our computer system. Copies of the front and back sides of your insurance cards are required for every new registration. Follow your physician's instructions about when to come to the facility for testing/registration. On the day of your procedure, leave valuables such as jewelry at home. Bring in your driver's license/photo ID and all insurance cards when you come. You may wish to contact your insurance provider to determine whether you have a deductible or co-pay and how much it will be. Finally, the parent, legal guardian or person named as Power of Attorney must be present to sign consent forms if the patient is a minor or disabled. For additional information concerning our facilities, please "Contact Us." The Sabetha Community Hospital is dedicated to improving the quality of health and care to our communities.